When I see Earth Day on the calendar I always think of Rachel Carson, the author of The Silent Spring and three other books. But it was her last, The Silent Spring, written in 1962 that had a lasting impact upon our view of the environment. Carson, a biologist and natural scientist, became concerned with what she viewed as the indiscriminant use of chemicals and their impact on the ecology. Ecology wasn’t exactly a buzzword at that time and few took seriously the role we all have as stewards of our planet. She was not opposed to the use of pesticides and herbicides, but wanted further study of the effects of their use and, more importantly, wanted the public to be informed so that they could make judgements . Carson died on April 15, 1964, 6 years and 1 week before the first recognized Earth Day. 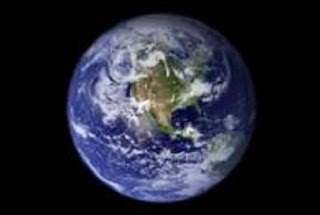 Earth Day, April 22, 1970, began under the sponsorship of Gaylord Nelson, U.S. Senator from Wisconsin and eventually led to the formation of the Environmental Protection Agency. Today Earth Day is recognized by more than 140 nations. Today we talk about sustainable resources and renewable resources. Resources we can use without depleting the supply, by careful management such as reforesting tree sites, are renewable. Planting fast growing plants, such as bamboo for building materials as well as textile fibers and careful husbandry of food source and fiber producing animals are other examples. Sustainable resources are those which, if we were to keep use of these resources under strict control, would provide for the need. Petroleum and coal are two such resources that come immediately to mind. Obviously the problem with these resources is controlling not only the supply, but the increasing demand. Textiles are a case in point. Many have been promoting the merits of the use of natural fibers for some time now, citing the advantages of comfort and renewability of the fiber sources. Throughout the world there are many plant and animal sources for textile fibers: hemp, jute, cotton, nettle, flax, and the wool and hair of countless animals. It will come as no surprise that all these fibers combined (with the possible exception of cotton) are outweighed by the production of synthetic fibers and filaments. The advantages of this production are many. They are cost effective, the fibers themselves can be controlled and thus the fabric produced can be controlled. They may be wrinkle resistant, fire retardant, easy to dye. And that little bit of spandex in your jeans makes them both comfortable and attractive to wear. But all this comes at a cost, of course. Synthetic production depends upon petroleum-based materials. So not only are we filling our cars we are wearing a sustainable resource. Sustainable, if we keep the demand less than the supply. Much is written about reuse, repurposing and recycling materials. Please consider donating gently used garments to shelters. Most of what we discard is perfectly useable and there is much need. Household linens are always wanted. Even worn towels and bedding can be used in animal hospitals and shelters. Textiles can be re-purposed into pillows, chair cushions and soft toy for children. There are many groups who are willing to convert useable fabric into fashionable rugs and home accessories. Start by asking your church members, gym partners and neighbors. You will be surprised by these resources!